I can't begin to explain how much fun I had teaching this past weekend, for many reasons. One of the main reasons is the site host this past weekend was one of my very good friends, Suzie Maciel. Suzie and I went to PT school together, and we have been great friends ever since. She is responsible for PRI coming to Sacramento, as well as the success of our class this weekend. We had some IT issues, and Suzie was a real hero. My eternal gratitude, my friend! We had a ton of great questions that helped us keep focused on our progression from normal mechanics to pathological mechanics. We were fortunate to have a very diverse class of rehab and strength professionals. It is both refreshing and exciting to have so many first-timers to the science of PRI. To have the privilege of introducing PRI to health care professionals, and sharing the ride with those eager to learn, is so enjoyable. Our weekend started with a mechanical discussion and progressed to how patterned mechanics dictate muscular performance. We also discussed how we need to keep our muscles in the proper "Boy Band." There are times to be "Batman," and times to be Bruce Wayne. We discussed why the neuromechanics of patterned behavior leads to compensation, and how some compensation is expected, and others lead to pathology. We were fortunate to have plenty of lab and demonstration time. My thanks to Dade Donovan, DC, for being our model for our repositioning demonstration. He has a classic L AIC presentation, and was the optimal model for our learning. 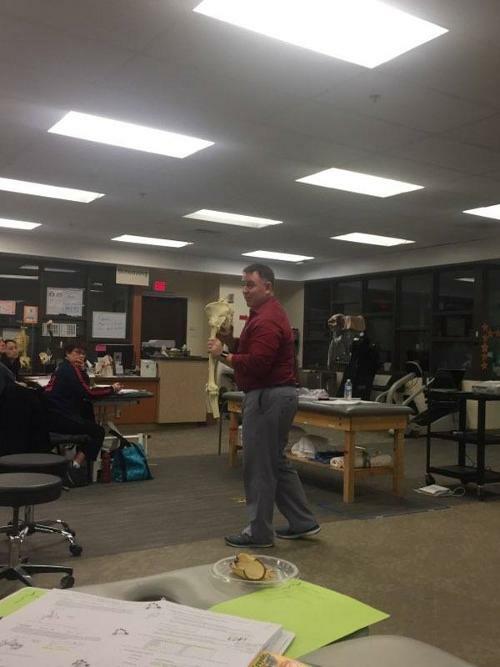 , Additionally, Cole Hughlett, DPT, provided us the opportunity to learn how his testing revealed differing results when compared to Dade. We also had a great introduction to the Hruska Adduction and Abduction Lift tests, as well as how they are linked to the gait cycle. 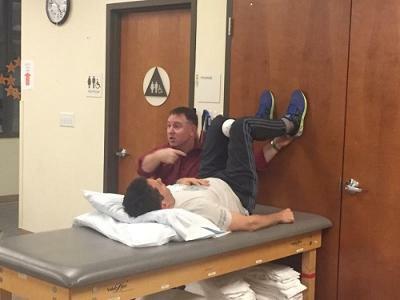 Which lead us into our discussion of how the hamstring is the gate keeper of the gait cycle. Susie Buchanan was a great model for us to learn and see how underlying every PEC is a L AIC. My thanks to Robert "Pete" Lucente for his awesome and timely questions. Melissa Stahl, Teresa Wooden, Tim King, Joel, Smith, and Andrew Hughey kept us honest during lecture, and asked insightful questions during lab. And a huge thank you to Caleb Chiu, CSCS, PRT, for his help during the weekend. He is a fantastic lab assistant, and was invaluable in adding important points of discussion that needed to be clarified or emphasized more. An additional thank you to Taylor Lewis, MA CSCS, PRT, RKC II for his help during our labs. Having two certified individuals in the course really helped the course run smoothly and allow the first timers more access to how to apply the science of PRI from two very experienced practitioners. Dan, excellent class. Thanks for some great analogies. I can’t even count how many times I’ve used the Bruce Wayne/Batman one since I started using PRI in the clinic.